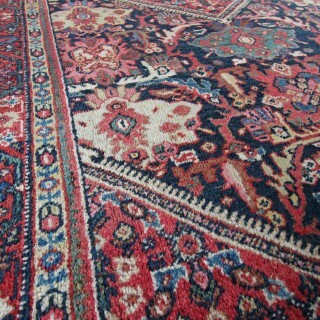 An attractive antique mahal rug woven around 1910. 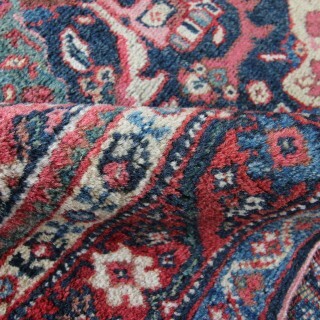 The condition is very good with a nice high woollen pile all over the rug. A wonderful almost arts and crafts design. Lovely natural dyes of soft pinks, yellows and greens on a royal blue background. 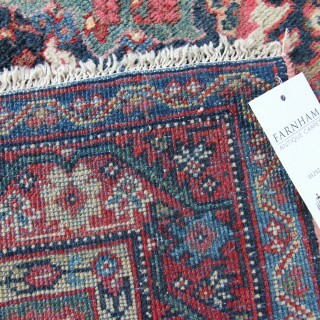 We have throughly washed this rug and it has made the wool extremely soft to touch and colours glow. 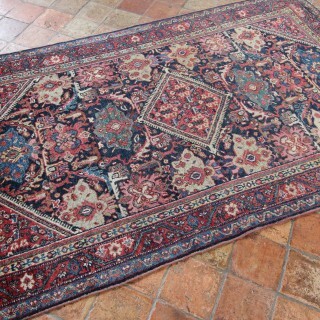 Request a home visit below to try this antique rug in situ at a convenient time. 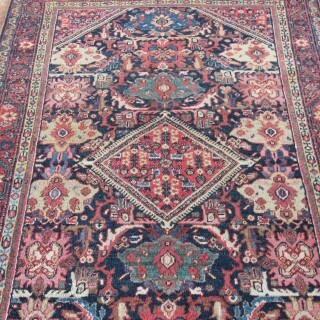 We also ship worldwide contact us for more information if you would like this rug sent to your home. 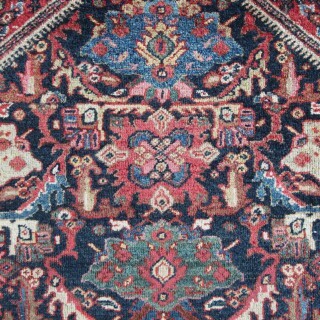 Mahal carpets and rugs were produced in Sultanabad, Persia which is now Arak in the centre of Iran. 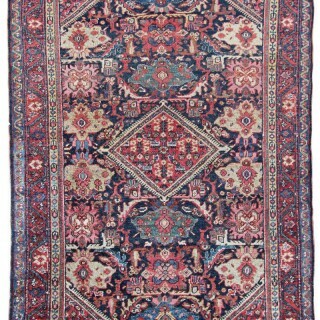 Mahal and Sultanabad rugs were made in the same area as the earliest Fereghans and Sarouks, but they are very different in form and structure. 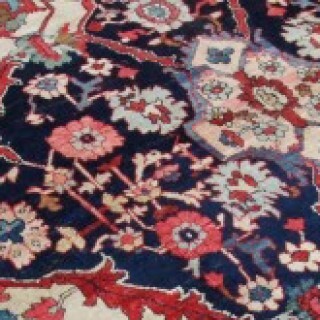 Floral motifs and overall designs of vinescrolls and palmettes remain consistent with the influences of western colour palettes and are all characteristics of Ziegler carpets. 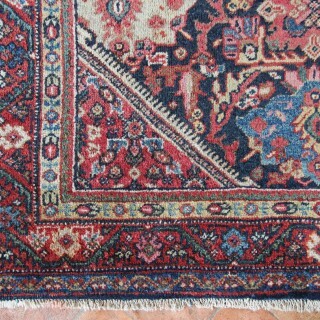 In excellent condition with a lovely soft wool pile and natural dyes. 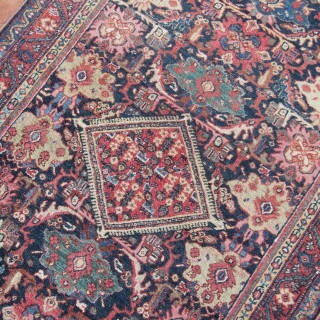 No damage or repairs, it is a wonderful decorative antique rug.